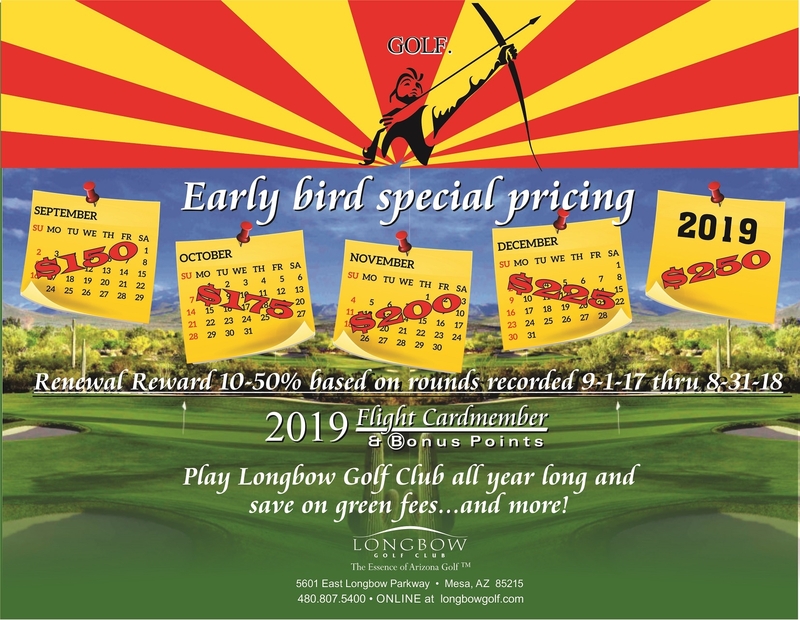 As a Cardmember you can save up to 50% on green fees at Longbow Golf Club and that's just the beginning...become a Flight Cardmember today! Cardmember green fees. Points can be redeemed for the Flight Cardmember's rounds of golf.